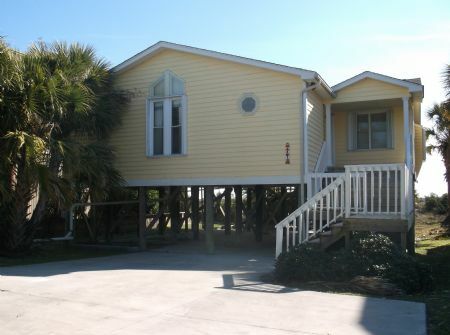 Beautiful Ocean Front Home 4 Bedrooms, 2.5 Baths. 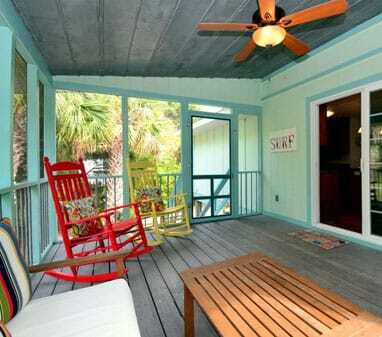 Screen Porch and sundeck on oceanside. Plenty of parking on the paved drive. The children in your party will enjoy the large yard and all will enjoy the outside shower. The central heat and air keeps the house comfortable all year. For inside entertainment there is Cable TV with local HDTV. 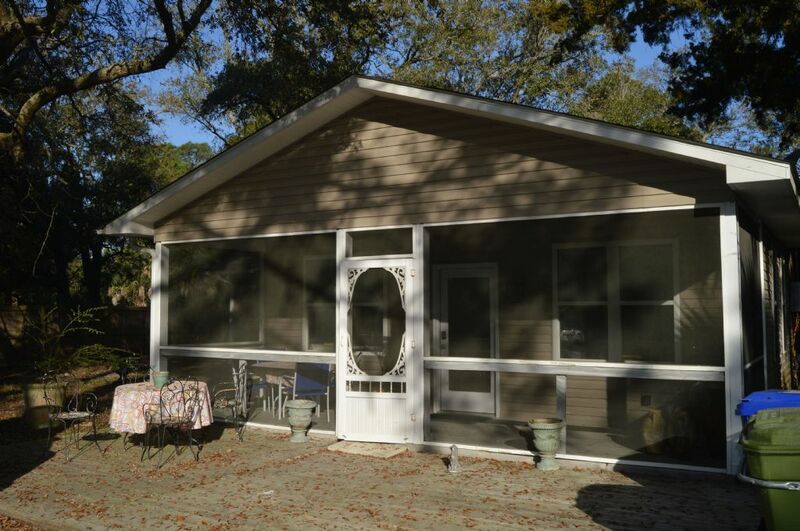 For your convenience the house has a washer and dryer and the kitchen has a dishwasher among the standard kitchen appliances. There is also an extra refrigerator for drinks etc. 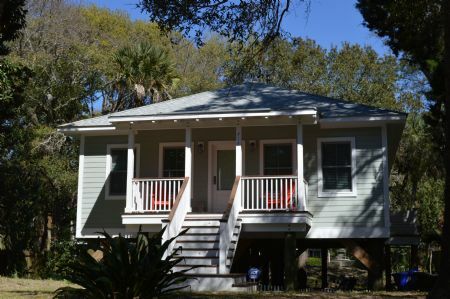 This house now has WiFi wireless internet connection. The living room features a fireplace and you have a private walkway to the beach. The bed sizes are as follows: 1 King, 1 Queen, 3 Doubles, and 1 Twin. Sleeps 11 comfortably. Linens provided.THIS HOUSE RENTS FROM MONDAY TO MONDAY IN THE SUMMER.